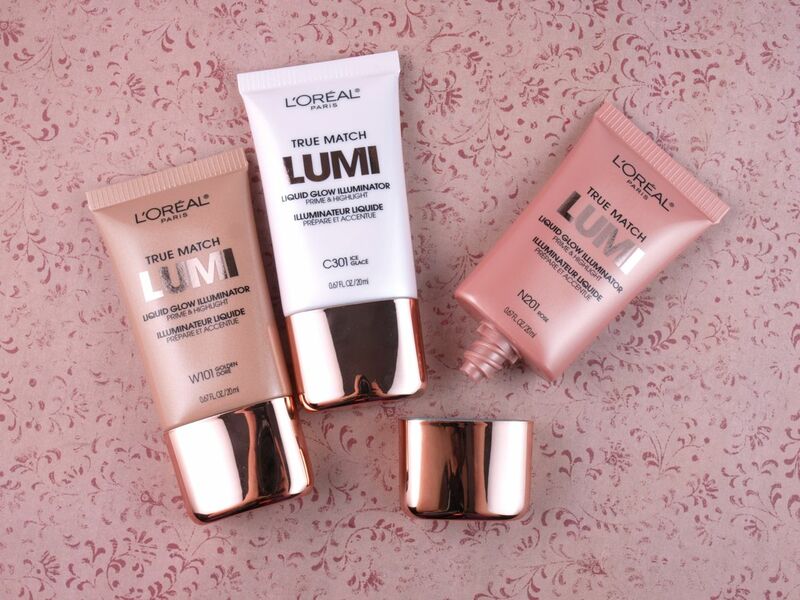 The True Match Lumi highlighters come in a 20ml squeeze tube. There are lots of shiny rose gold accents, which make everything super pretty and fancy. The product dispenses from a simple spout opening. I wish the spouts were longer and thinner to prevent a big mess from forming all around the opening. 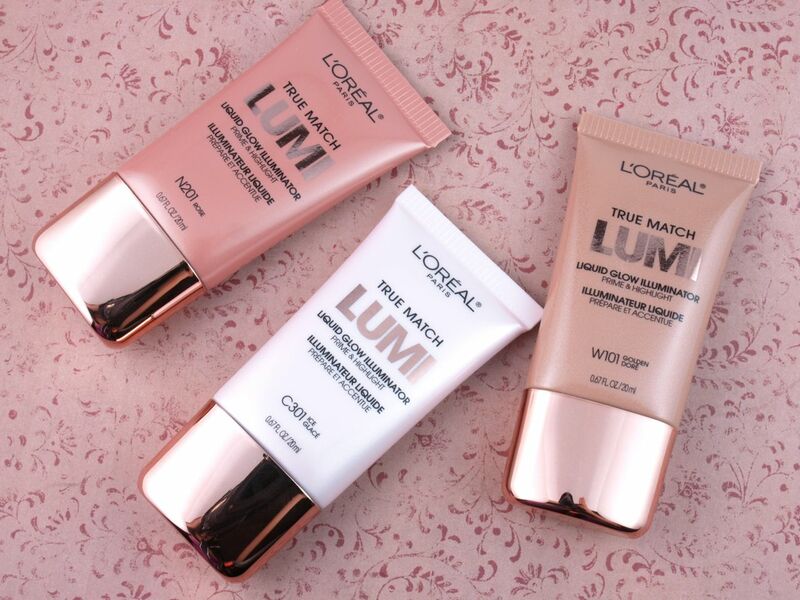 L'Oreal recommends these to be used under, over, or mixed into foundation. 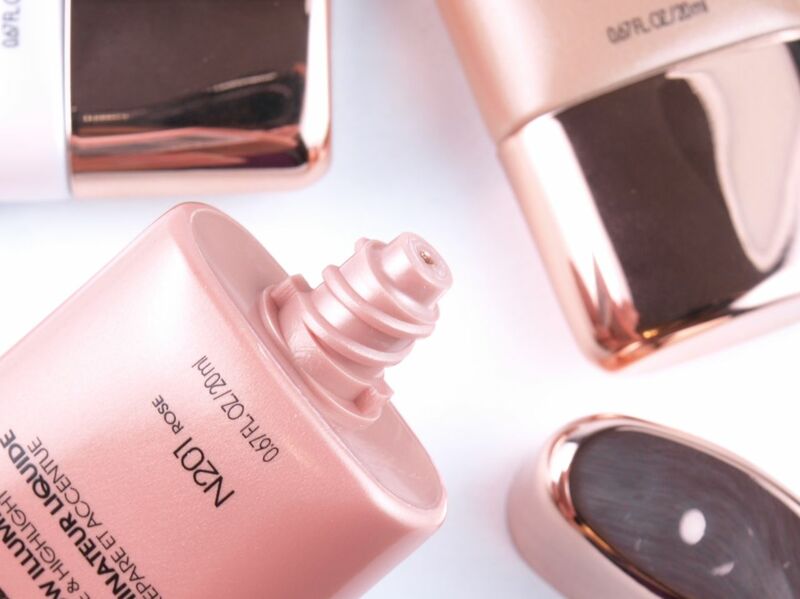 The formulation is indeed very versatile, it can either be applied heavily as a highlighter after foundation or it can be mixed into the foundation to provide a subtle all-over glow. The pigmentation of these is incredible; the product is packed with micro-shimmers that can also be blended into a sheer layer of luminous sparkles. What I like most about these is how long-wearing the formulation is. A lot of cream highlighters tend to shift and transfer, but these set very nicely, staying put for a long, long time. 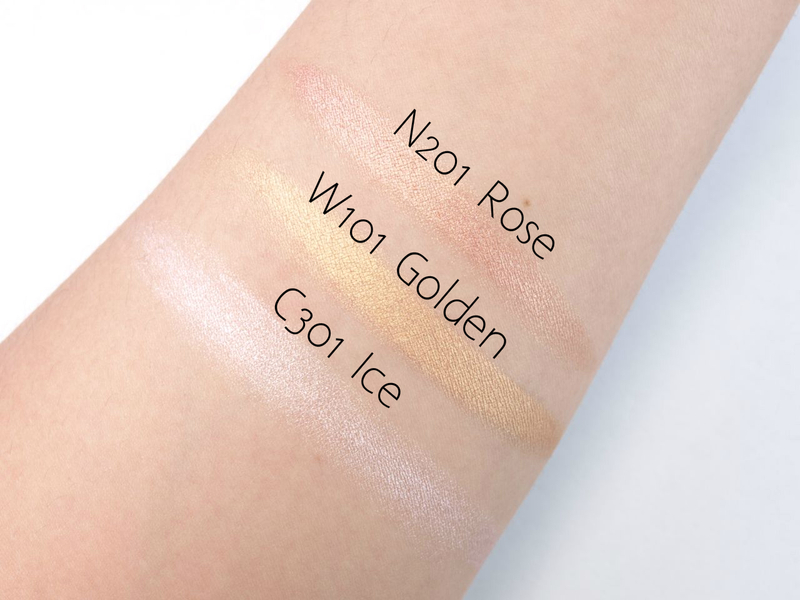 "N201 Rose" is a gorgeous rose gold, "W101 Golden" is a medium gold, and "C301 Ice" is a pale icy pink. I absolutely adore these. Powder highlights are generally my preference, but these liquid illuminators have a really amazing formulation. 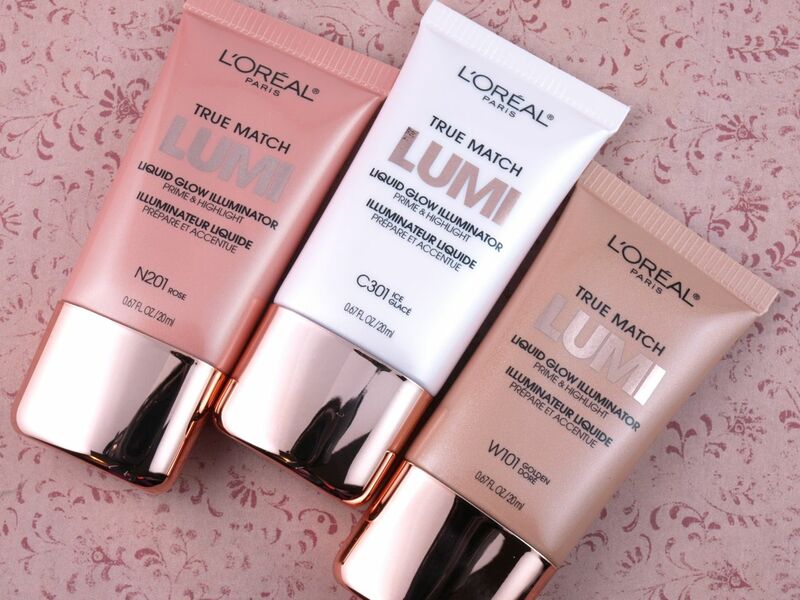 Pigmented but easily blendable, the True Match Lumi Liquid Glow Illuminators have some impressive staying power and the color choices are superb! The True Match Lumi Collection will be available starting mid-July 2015.